I always linger when I reach Querrin crossroads in west Clare to look down on the waters of the Shannon Estuary. It is just a few minutes to the pier from where I can gaze across to Scattery Island and its sturdy round tower. In August, the road between crossroads and pier is a medley of startling colour: orange-reds, shades of purple, gentle creams and delicate pinks blaze out and shock the eye. When I drive this road at night the car headlights stoke the hedgerows and it feels like I am moving through walls of fire such is the sparkle and flicker on either side of the car. I am pleased with myself that this year I can name the individual plants which make up this lavish hedgerow foliage. Pride of place goes to montbretia with its drooping leaves and rust blossoms that lord it over all other vegetation like a tall, long-legged red-head drifting through a crowd. 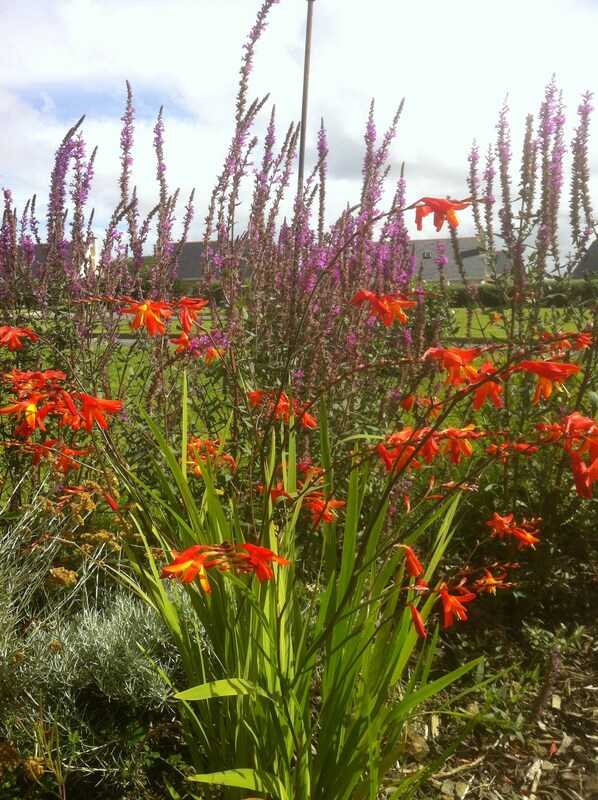 The purple loosestrife with its downy bloom gives the montbretia a run for its money with height and pervasiveness. The pale willow fern and buttery meadow sweet bring some calm to this superabundance of colour, while the discreet blackberry petals herald an autumn of fruit abundance. This year I have impressed family and friends alike with my ability to identify the flora and plants of the Loop Head peninsula: the wild thyme at Ross, rock sapphire on the rocky shore, wild carrot at Rhynvella Beach, and sea pinks on the Loop Head moors. After astonishing my visitors with my knowledge, I let them in on my secret in the form of Carmel Madigan’s wonderful book The Wild Flowers of Loophead. 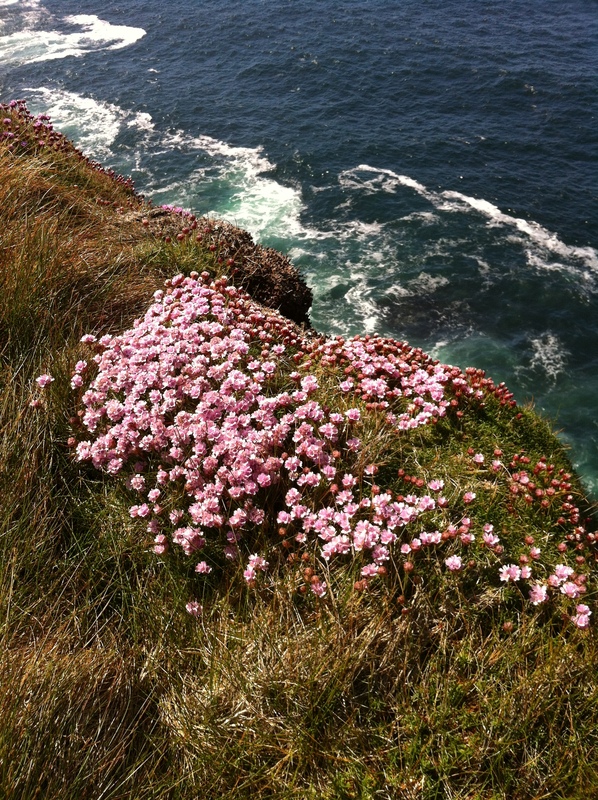 A daughter of the peninsula – her family have farmed at the Bridges of Ross for over three hundred years – Carmel set out in the summer of 2007 with her young son James to record the plant life of Loop Head armed with pen and paper, camera, magnifying glass and books. The result is a nature tour of the peninsula’s moorland, beaches, verges and hedgerows through the seasonal changes, as Carmel uncovers the raw wild life of the Atlantic-washed landscape. The book is an amalgam of prose, maps, photographs, botanical references, poems, and Carmel’s own art work inspired by the area. Most of all, the wealth of detail allows me and others to identify, name and appreciate the natural bounty of the gem that is the west Clare landscape. In recent weeks, on one of the wettest days of the summer, I took myself to Carmel’s Hedge School in a cottage at Kilballyowen in the village of Cross on the R487 that leads to the tip of Loop Head. I am booked into the half-day workshop on ‘Saving the Hedgerows’ which, I have been told, will introduce participants to methods of saving the produce of the local hedgerows ‘for decorative, fragrant, cosmetic and consumption uses’. We get through the introductions with a cup of fresh-leaf herbal tea brewed in several of Carmel’s wonderful tea-pot collection. We select from a variety of tea combinations made from wild mint, marsh mallow, plantain, silverweed and rose petal. The oven is turned on low and more fresh leaves are being slowly dried over many hours; tied bunches of montbretia, loose strife and honeysuckle hang from the ceiling. Out the window I can vaguely see the Atlantic waters through the thick mist. There are hand-painted jars packed with dried herbs dotted around the studio, and Carmel’s luminous paintings adorn the walls. For a start we tackle the making of a tincture which, I learn, is a concentrated herbal extract made from alcohol and herbs. Assorted local plants are already gathered. At one stage Carmel darts out into the garden and returns with plantain leaves – a great antiseptic compress, she tells us, if pressed against a sting, bite or wound. The herb collection is washed, towel dried and chopped, then packed into jars and immersed in alcohol. Left for two weeks to steep, the alcohol draws out essential plant compounds and nutrients. Carmel has some herbs that have already been alcohol-saturate and she strains this mixture through a muslin cloth across a sieve, pressing the herbs to extract all juices. She pours this liquid into small dark tincture bottles and we apply labels. Before leaving we will have another cup of herbal tea made with this rich tincture. Most fascinating is the creation of ointments from oils already infused with extract from plants such as plantain, calendula and St John’s Wort. Bee’s wax is added to the oils and slowly blended over low heat until the liquid starts to solidify. We finish the workshop with a round-table group effort crumbling dried flowers and foliage into a pot pourri. Fragrances rise from meadowsweet, purple loosestrife, tufted vetch, pink bistort, montbretia, wild mint and Japanese rose. We pull leaves from stems, crumble petals, chat, raise fistfuls of pourri to nostrils and inhale the assorted aromas. Each of us leaves with a bag of goodies: a hand-painted memory jar packed with aromatic pot pourri; a pot of seamay weed and yarrow ointment; a tiny bottle of marsh mallow tincture with a suggestion that a few drops will make a delicious tea combined with wild mint and blackberry. We all promise to return and sample some of the other Hedge School offerings like the rocky shore exploration or the rugged way walk at the Goleen on the Atlantic coast near Tullig Point. Holidays over I set out for home, pausing at Querrin crossroads to look back at the still glowing montbretia above the Shannon Estuary waters. The hedgerow fires will be extinguished when I return to this place. There is solace, however, in the thought that my luggage contains jars and containers that have captured some of the essence of the hedgerows I am leaving behind. These, I know, will cheer me through long winter months. Visit the light house at the tip on the peninsula and do a circular walk around it at the sea’s edge. Enjoy sea food from Carigaholt; purchase it fresh at SeaLyons down towards the pier or enjoy it cooked at the Long Dock restaurant. Take a boat trip to Scattery Island and tour its monastic settlements. Take the cliff walk in Kilkee and have a coffee afterwards at The Pantry on the main street. Walk the spit at Querrin and enjoy the wonderful montbretia from Querrin Cross to the pier in late summer. Get a copy of Carmel Madigan’s The Wild Flowers of Loop Head to open your eyes to the all-year round wonders of the west Clare landscape. Islands, especially uninhabited ones, boost my imagination. It is as if you can see layers of life and memory wrapped within them in a stark way. At the weekend I stood on Querrin Pier in West Clare at full tide in a fresh wind and watched the round tower on Scattery Island out on the Shannon Estuary. The first time I visited the place was via a boat ride from Limerick down through the estuary past strange places like ‘Scarlet Reach’ and ‘The Dead Woman’s Rock’ where lines of cormorants hovered – all black and silent. I had spent the journey tidying up the Contacts on my mobile phone when, suddenly, the round tower of Scattery loomed up ahead of us. Another time while I watched Scattery in the distance, a fisherman was gathering bait at the pier and he told me that he fished for wrasse at the Arches of Ross on the Loop Head Peninsula. He waited each year, he said, for the bloom of the flag iris to arrive before he started to fish for wrasse. The layers of history on Scattery start with the 6th century round tower – the largest in Ireland and the ruins of six churches and the holy well of St. Senan. Another layer is that of the sea pilots, for which Scattery was a centre in the nineteenth century, when the pilots guided ships From Kilbaha at the mouth of the estuary as far as Limerick Port. 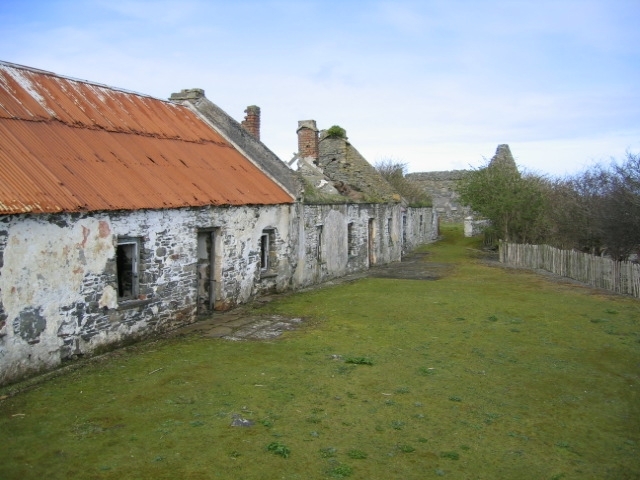 The most poignant layer is the recent community whose signature is in the line of deserted cottages facing the mainland; the last two islanders left in 1978. 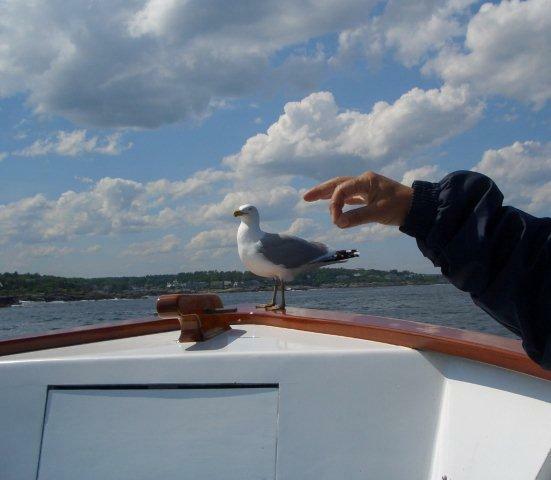 A former lighthouse keeper, Don Scanlon, has written a vivid Scattery Memoir. 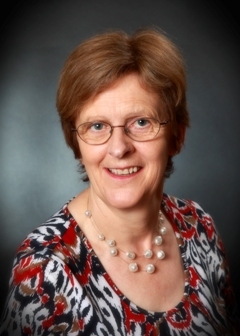 As I am promising myself to visit the island again soon on a fine day with my notebook, the eighty year old Jennifer Johnston is being interviewed on radio and talks of her writing as being ‘like breathing’ and culture as that which ‘drives people into the future with dreams in their heads’. Her words make me wonder about what dreams the generations of islanders in Scattery held in their heads as they stared out across at the mainland.